Eliminate Odors at the Source! 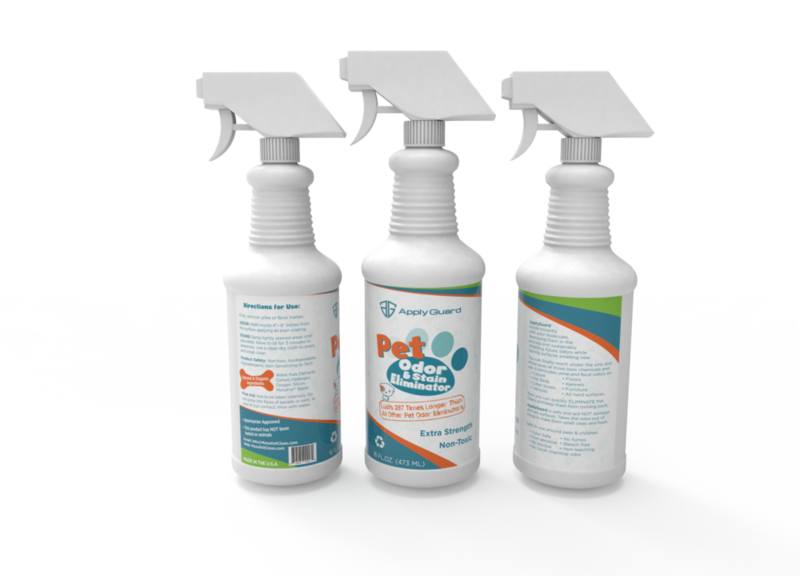 Other odor eliminators are designed to eliminate the present bacteria and do not protect against incoming bacteria and associated odors. Once dry, it is no longer effective. Within one minute your family is exposed to new bacteria. Apply Guard Odor Elimination Products provide a shield of protection. Spray it Once and say goodbye to bad smells. There's an Odor Eliminator for Everyone. Sign up with your email address to receive monthly emails about specials, new products, and freebies! Thank you for joining our list. We are excited to have you. Looking for handy ways to use Apply Guard in your very day life? Check out our Blog for usage tips, sales and other fun things; it is literally a breath of fresh air! With almost 70 million pet dogs and 75 million pet cats living in the United States, it’s safe to assume that household pets are here to stay. Pets provide stability in a constantly evolving world and now, with the help of MonoFoil, keeping a pet in your home is easier—and cleaner—than ever. Still not convinced? Here are 5 unbelievably great reasons why you should say “yes!” to pet ownership! When you think of litter boxes, does the word “stinky” come to mind? Probably so! You can get rid of the stink with MonoFoil, a safe and effective solution. You love your pets, but you hate the odors that come with having pets in the house. We’ll show you five of the best ways to eradicate those pet smells from your home and enjoy life more freely with your pets. Here are 10 cleaning tips for you to try in your home, as you endeavor to do away with foul smells. 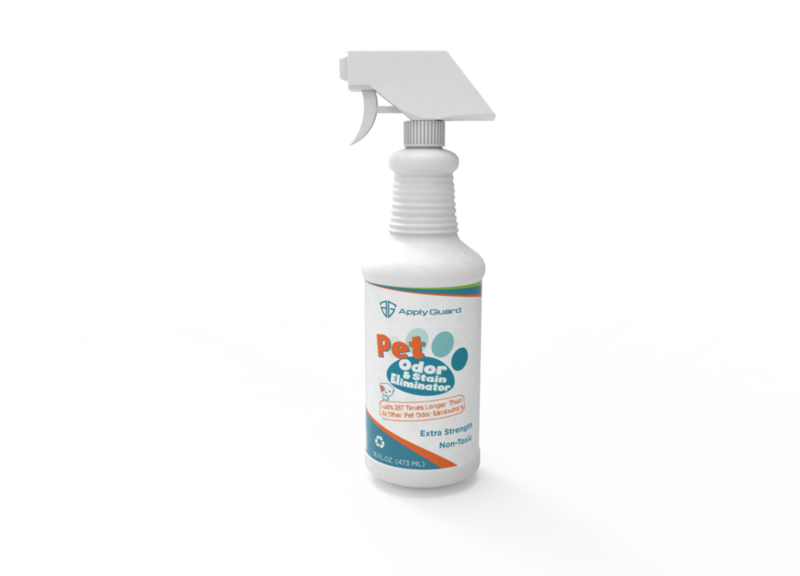 You and your pet both deserve safe and natural solution for your pet odor problems. Get The Latest From Apply Guard! Join our mailing list for announcements, new product releases, and coupons! We take privacy very seriouly and we will never sell or distribute your email to anoyone, ever!